Welcome to Walt Disney Channel Website!!! The original late night schedule featured reruns of the classic The Adventures of Ozzie and Harriet; more of them are included in Disney Channel Original Series. Disney Channel received a special citation from the United States presidentRonald Reagan in 1984. 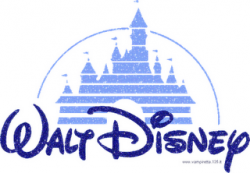 On December 1, 1986, Disney Channel commenced full time broadcasting 24 hours everyday. During the early years, Disney Channel aired several foreign animated series and movies including Asterix, The Raccoons, and Paddington Bear. The Australianwestern, Five Mile Creek, was shown during this time period also. During the 1980s, the channel debuted a few programs that later became part of the cultural lexicon of sorts. Early on, in 1986, the musically-oriented sitcom Kids Incorporated became a hit, about a pre-teen (and later teen-to-young adult) gang of friends who formed a pop group, mixing their everyday situations with variety-show and music video style performances. During its nine year run, the series spawned many future stars in both music and acting, the most notable being Martika (who went by her real name of Marta Marrero in the show's first season), eventual Party of Five co-stars Scott Wolf and Jennifer Love Hewitt (billed as Love Hewitt) and, not to mention, Stacy Ferguson (Fergie). In early 1989, The Disney Channel revived one of the company's early TV staples with The All-New Mickey Mouse Club, which was an immediate hit and proved the basic Disney variety show formula could still work, unlike in the short-lived 1970s revival. The latest version contained many of the classic elements, from "theme days" to updated mouseketeer jackets, but the scripted and musical segments were more contemporary. MMC had a stellar young cast, launching more careers of today's big stars than the shows previously mentioned; Christina Aguilera, JC Chasez, Ryan Gosling, Britney Spears and Justin Timberlake, are just a few of the many "mice that soared".